At the start of the decade, QR codes began to make an appearance on almost all forms of packaging. However, if you used them for your packaging solutions back then, you probably hated them. In the beginning, the end-users had terrible experience using QR codes. They are now on the rise in many forms of commerce. 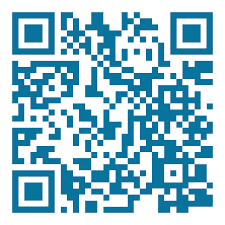 Griffin-Rutgers has options for QR codes and your packaging solutions. There are a few reasons QR codes have failed as a marketing tool in the past. At the time, most people were not connected via their smartphones. If they did have them, they needed to download an app to scan the applicable QR code. Once the app was downloaded, the customer would need to take a picture; process it; and then they would be re-directed to the product’s web site. Since mobile internet connections were very sl ow, the websites took a long time to load and once they did, the web pages weren’t optimized for mobile landing pages, making the entire effort put into it by the customer, simply not worth it. However, that was back in 2010. In 2018, the amount of people using QR codes is in the millions. They are making a huge comeback. This indicates that QR codes were ahead of their time. Now, they make a lot of sense. Many things have changed since then. Technology and consumer behavior are directly responsible for the rise of QR codes in today’s commerce market. Show what the product will actually do. Link to consumer reviews of your product and how it stands out from the others. Give buyers an instant coupon if they purchase your product. Provide different tips about how to use your product. The various printer technologies we offer at Griffin-Rutgers can be set up to print the entire label copy, including the QR Code to more efficiently market your products. Millennials are eager to engage with QR code technology, as they enjoy the interaction with conventional and emerging technologies. There is no doubt that the concept behind QR codes is brilliant, and as consumers demand a more interactive experience, future packaging endeavors will need to be more innovative, going beyond visual appeal to packaging immersed with multi-media information. We at Griffin-Rutgers can help you configure the optimal solution for your production line printing and labeling needs to incorporate QR coding. Posted in Carton Coders and tagged Coding Equipment.